“For nothing will be impossible with God” (Luke 1:37, NET). Gabriel had just dropped a bombshell on Mary. On this side of history, the story is exceedingly familiar to us. Try to imagine, though, what it must have felt like for this young woman to hear such an astonishing message from a majestic being shining brilliantly with heavenly light. Gabriel’s presence must have been overwhelming indeed; we read that upon encountering him, the prophet Daniel fell on his face, terrified (Dan. 8:17). So this gloriously resplendent angel announces to teenage Mary that the God who fills the whole universe is about to fit Himself in her virgin womb. Made pregnant by the Holy Spirit, she is going to carry no less than the Son of God, the Savior of the entire world, in her uterus. I love the breakdown of the Greek on this verse. Gabriel actually said to Mary, “No rhema from God will be void of dunamis.” Rhema means “spoken word,” and dunamis means “power.” In other words, no utterance from God’s mouth will ever be lacking in power! When God speaks a promise to you, His very word carries the power necessary to set into motion everything necessary for its fulfillment. The Holy Spirit overshadowed Mary. He hovered over her womb just as He hovered over the surface of the waters in Genesis 1:1. As God released His promise to Mary, His spoken word (rhema) was charged with the very power (dunamis) that brought forth a human embryo inside of her. Jesus is the Word. In that moment, God’s Word became flesh inside of this humble, willing maidservant. Is there a promise God has spoken to your heart that is yet awaiting its appointed time? The prophetic message Gabriel proclaimed is timeless. Holy Spirit put it in Luke’s narrative for you and for me. No promise, no utterance from God’s mouth, will ever be deficient of the mighty power needed for it to come to fruition. His personal word to you is living, active, and full of God’s energy. It is right now mightily at work in heavenly places, producing change on your behalf. His word never returns to Him empty. It always accomplishes His purpose. There is no setback that ever has Him nervous, gnawing on His nails, wondering how in the world He is going to handle it. From the very moment He gave you the promise, He saw the end from the beginning, and absolutely everything in between. He laid His perfect plan accordingly. He is masterfully working all of it together for your good. Nothing – absolutely nothing – shall be impossible with God! Have you had some time to reflect during this Advent season? If so, what part of the Christmas story is speaking to your heart in a special way? 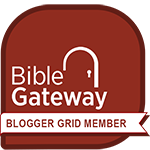 If you need a place online to meditate on the deeper meaning of the season, I highly recommend biblegateway.com! Jennifer, you have touched on something I often advise folks to do: Put yourself in the story as an observer, as the things depicted happen. I believe this helps ( I know it does me!) us to get closer to the Father’s heart as we see Him at work then, and now. I often contemplate the shepherds on that night when the announcement of the Savior’s birth was made in this way. I hope I never lose the feeling of wonderful bewilderment when I see God moving mightily in the world around me. I wholeheartedly agree, my brother Chuck! And how generous the Holy Spirit is to make the story come alive in our imagination when we lean into His presence, asking for His illumination! I am eternally grateful to Him. And I don’t think you ever will lose that feeling! It will only grow more and more! Thank you, LaRonda!! Love and blessings to you! !